French company Devialet have taken the audio world by storm since they launched and Stuart Smith now takes a listen to their £5590 Ensemble package. Let’s get one thing out of the way from the outset shall we – the guys at Devialet certainly know their marketing and the hype behind the brand has been at fever pitch pretty much since the French company launched. However, aggressive marketing has ensured that when talking about Devialet you tend to get two very distinct responses; the “It’s all style over substance marketing hoo-hah” on one side and “It’s the best thing sliced baguette” on the other. Given some of the rooms using Devialet amplifiers at this years Munich High-End it certainly seems to be the case that many of the high-end speaker brands have fully embraced Devialet’s amplifiers, one case in point being the Leedh room. 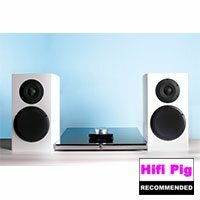 Here for review we have the Devialet Ensemble which is a package deal of the Devialet 120 (we actually had the 200 sent) and a pair of Atohm GT 1 Devialet Special Edition loudspeakers. Devialet use something they call Analogue Digital Hybrid technology at the heart of their system which they say gives users the best of both digital and analogue worlds. 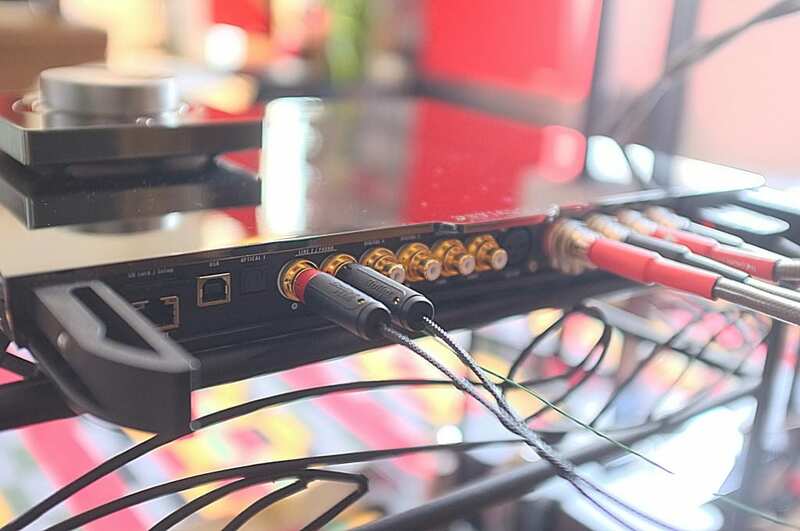 ADH works by connecting a class A analogue amplifier which drives the output voltage to the speakers and then several class D amplifiers are added in parallel and act as slaves to the class A amp to give the speakers the current they need to sustain the output voltage. Before the ADH section Devialet use a “Magic Wire” DAC which “implements the DAC at the core of the class A amplifier, in order to reduce the parasitic, musical-impeding phenomena such as noise and distortion”. Again inn simple terms the Texas Instrument PCM1792’s output is converted directly to a high-voltage without any processing in-between. Power supply is onboard and provided by a switched-mode psu with “Power Factor Correction” which Devialet say is able to provide huge peak power delivery and an efficiency of 85%. The packaging of the Ensemble is absolutely fantastic and you certainly get that Christmas morning feeling that we bang on about all the time – that feeling of having spent a good deal of money on yourself and the expectation you get when the item finally arrives and you start to unpack it. Certainly very high marks here for Devialet and something many could learn from. The amp itself is a thing of great beauty depending on your viewpoint, with its low profile form and silver, chromed, mirrored finish. The quality of the chassis cannot be questioned and is certainly of a high quality being milled from a single billet of Aluminium. There are no knobs or controls on the amp save a single power button which also indicates the state of the amp and the function selected. The remote is the most gorgeous remote I’ve ever had the pleasure of using with its large rotary knob for volume. It’s just so tactile and screams touch me!!! Yes there’s a good deal of Le Bling on offer here, but I don’t think it’s necessarily over the top and because of its size and low profile the whole thing is pretty unobtrusive should you want it to be…if you like to show off you can even hang it on the wall. 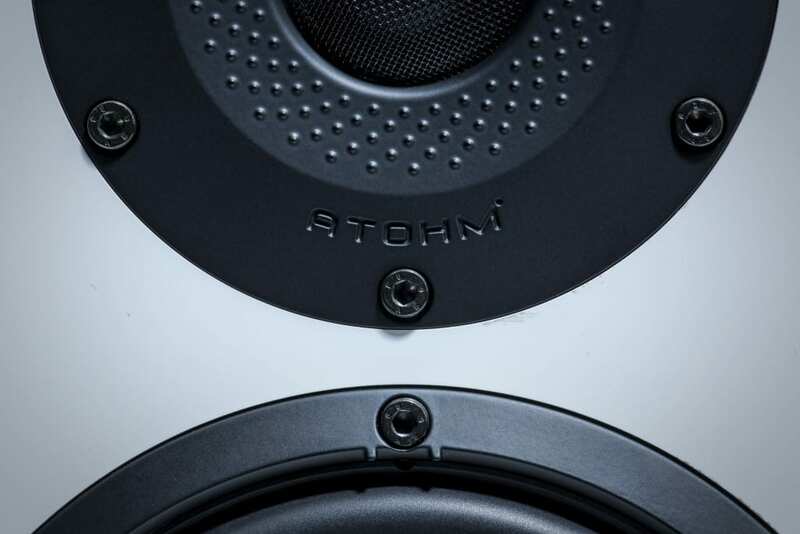 The speakers that come with the Ensemble package are Atohm GT1 Special Editions that have been designed by Devialet, have an impedence of 6 Ohms and are 89dB sensitive. It’s a two way bass reflex system measuring 330 x 200 x 265 (mm) and it all looks pretty conventional and quite nice in the gloss white finish. The tweeter is a 1 inch soft dome affair and there’s a 6” main speaker. I did have the protecting baffle for one of the woofers drop off soon after unpacking but these are simple to slot back in. Of course the speakers have been treated to Devialet’s SAM process and when SAM is activated on the “amp” bass response is quoted as being as low as 23Hz as opposed to 39Hz when SAM is not engaged. For the purposes of this review the speakers were placed on stands that brought the tweeter pretty much to ear height. Set up of the Ensemble system is a little different to the usual plug and play scenario most of us are used to but once you read the manual and instructions it’s all pretty much plain sailing. Round the back of the “amp” there’s a little slot for an SD card and you go online to your personal “Configurator” where you can decide what inputs do what, what processing you have running, as well as loads of other things you can tweak and play with, more of which later. All this sounds a bit complicated if you are used to more conventional set ups but it isn’t really and it means that when Devialet come up with a new firmware update or a new feature you can download and install it quickly, easily and for free. The procedure for set up goes – Go to your computer, log in to your Devialet account and go to the Configurator, add the stuff you want to add and get the inputs doing the function you want them to, download the file you are presented with, copy it to the SD card, pop the SD card back in the back of the “amp” and everything automatically installs when you turn the amp back on. I liked this feature a lot and it effectively means you get free upgrades and new features for life and I can see that when it comes to awarding a value for money score for this package it’s going to be quite interesting. 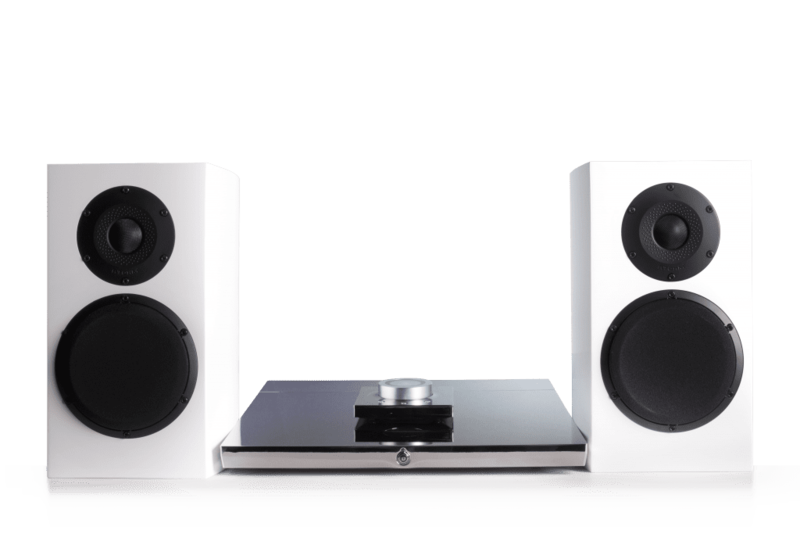 SAM stands for Speaker Active Matching and it’s a DSP built into the Devialet system with the idea that “enables the precise adaption of the sound signal to the specifications of your speaker model”. 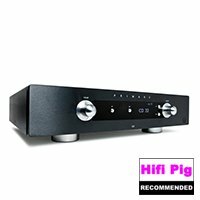 I’m getting a little ahead of myself here but wanted to talk a little about the Devialet’s phonostage before we got any further down the line. This feature was introduced at this year’s Munich High-end and is basically a phonostage you download from the Configurator and add to your Devialet set up. They say it’s the most advanced phonostage ever and the specs are pretty impressive, with a whole host of equalization curves being available at the touch of a button on Configurator. You get to set the loading for your cartridge, and should you fancy a change of cartridge it’s a simple matter of going to your account and changing it, download the new file, pop it on the SD card, insert this into the Devialet and off you go. I was very keen to try the phonostage feature and I have to say I was a little sceptical about the whole thing. You have to keep in mind that all this equalization and loading etc is done in the digital domain, but to be fair the results are pretty impressive with me getting very good results from vinyl using the AT09 cartridge I have at the moment. Bass was a tad bloomy when compared to my much loved Graham Slee Elevator/Reflex combo but it’s very hard to knock a product that Devialet are essentially giving away for free to their customers. I’d certainly be happy to listen to vinyl on this set up for all but the most critical of listening sessions. For folk with a turntable and a decent collection of records they want to dip into from time to time it will prove to be more than acceptable. I tried the phonostage with a good range of genres and it responded very well. It is not “the best phonostage in the world” though and there was to my thinking a shortfall in dynamism with our current test track “Contact” by Daft Punk lacking a little oomph. The stereo image is good and stable and instruments sit properly in the mix with there being a good analogue feel despite the fact that this is all digital. It’s clever stuff as is the whole system. Does anyone remember tone controls on amplifiers? Back in the dim and distant past all amps came with a bass, treble and balance control so that you could tune the sound for your taste and for your room conditions. They went out of favour in the mid-eighties when there was a movement towards the preservation of purity of signal path. Yes I used them a bit but still found myself preferring a flat setting. However, I do see these as being useful and given this is all digital the argument about short signal paths etc is pretty moot. 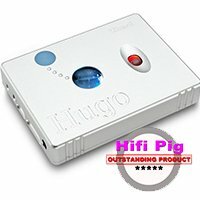 I lived with the Ensemble and used it as a package, as the vast majority of people will, and for most of the time I chose to stream from my laptop using the Airplay set up… download the software to the computer, activate it, get it running and you’re off. 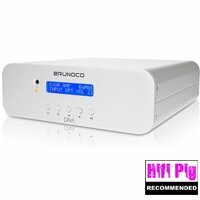 Overall you get a very good sound indeed and this package will appeal to many. The SAM settings do help a good deal to my ears and I felt that there was a tightening of the bass which in turn offered up a more coherent sound and so I used Ensemble with SAM engaged pretty much constantly. There is a good soundstage thrown by the combo and the mix is presented accurately enough before you, with instruments appearing to have their own space in the mix. This I feel is one of the benefits of smaller standmounts and gives you a sense of being in front of the mixing desk and though the image felt accurate here it wasn’t as deep as I’ve heard and you undoubtedly don’t have the speakers “disappear”. As regular readers of my reviews will know one of my pet peeves is wooly and flabby bass that hangs around after the note is finished and here the Ensemble does very well indeed – on one of our torture tracks for bass (Todd Terry’s Blackout) the low frequency, electronic “whoomph” felt like I was listening to a bigger pair of speakers and they do go low, though not in the same way a bigger speaker can. This whoomph I mentioned on this track is actually a pretty complex synthesized noise and there is good detail in the sound here. 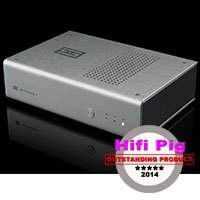 The amp really did seem to grip the speakers really well in these lower frequencies, but as a system bass never feels like it is taking over and there is coherence across the spectrum. On more percussive techno there was attack and bite to the music which was dynamically exciting to listen to. On more gentle music with the mid-frequencies being the highlight (Fleetwood Mac’s Songbird) there is a clarity and flow to the vocal with a good feeling of the recording space, with an absolutely silent background allowing the quiet guitar on the track to be easy to follow and hear. You do get a good deal of detail, but that is not at the cost of being fatiguing, and so you can listen for long periods and at high volume without feeling the need to take a break. The Ensemble isn’t a force it down your throat combo either and whilst the detail in a recording is easy to hear, you don’t become fixated on it to the point of distraction…this is a good thing and will appeal to those wanting an untaxing listen. One issue I did have with the sound at times was a slight sensing of pixilation at the very upper frequencies and this had me thinking “I’m listening to digital” here. Please note I have used the phrase “at times” here as this pixilation or digitizing seemed to appear at certain times of the day and I am assuming that this is some kind of interaction between the power from our mains having some effect. At the time I didn’t have a mains conditioner to hand and so couldn’t say this is fact or not. For the vast majority of the time the top end was clear and crystal like with lots of air around the instruments with David Crosby’s Croz album in hi-res sounding fab. I really didn’t want to like the Devialet Ensemble but ended up having a blast with it. 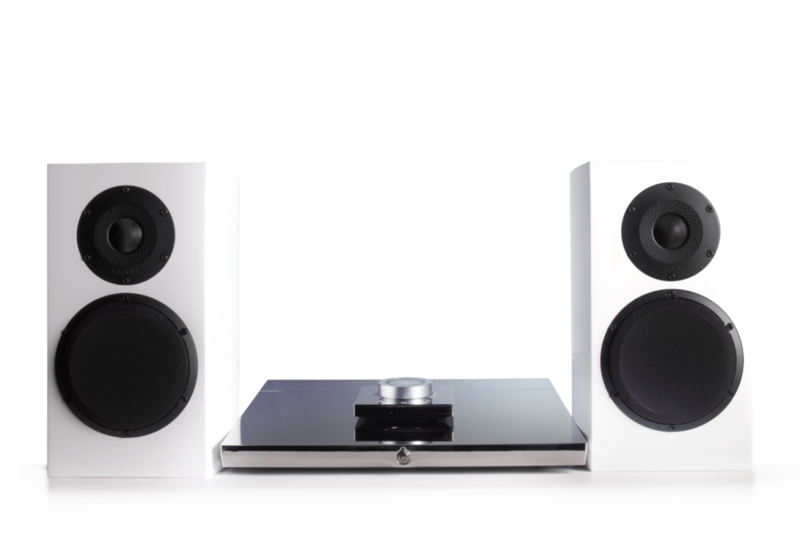 For your money (available for £5590) you get a very good looking, very versatile hifi that is pretty much future proof. This is a real one box system solution given there is connectivity for pretty much anything you can throw at it. New innovations, system updates and all the free stuff Devialet keep coming up with actually make this pretty good value for money. The Ensemble isn’t the last word in fidelity in absolute terms but for the money there is certainly very little that I found I could criticize and remain honest. Devialet will shift huge numbers of this combo I guess and as the technology advances so will your system…at no extra cost. The “could I live with this” question has to be asked and for me it’s a hands down yes. Yes, our reference system (also using class D amps incidentally, but with a valve pre in place) gives me more of everything, but then for the cost of my speakers alone you could have the whole kit and caboodle from Devialet gracing your living room and not wanting to take over your space completely. Most definitely if I was looking for a one stop solution that allowed me to listen to my tunes effortlessly this ensemble would definitely be on my shortlist…though it has to be said it’s a swine to keep looking shiny and dust free!